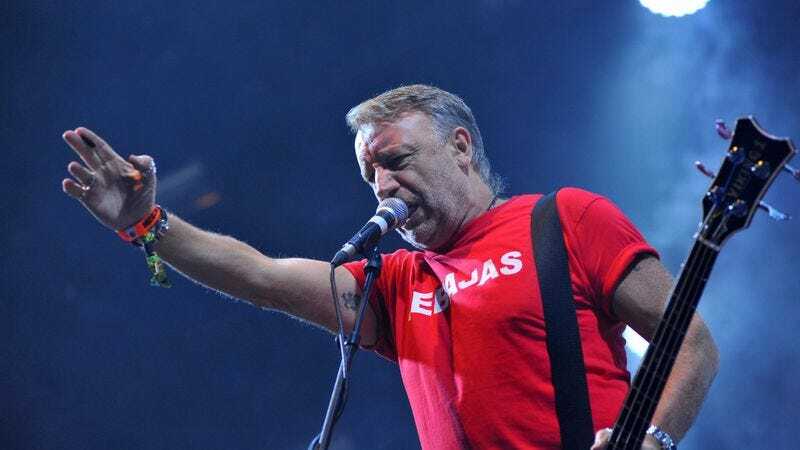 There’s very little love lost between Peter Hook and his former bandmates in New Order. Back in 2011, Hook gave an interview that basically amounted to him talking about how much he hates everyone else in the band, and now the BBC is reporting that Hook is doubling down on those hard feelings by filing a lawsuit against New Order’s Bernard Sumner, Stephen Morris, and Gillian Gilbert over royalties. Hook says the other original members of the band started a company to control New Order’s assets a few years ago and neglected to include him, meaning—by his estimate—he has missed out on the equivalent of about $3.5 million. At a preliminary court hearing in England, Hook’s lawyer argued that the band’s decision to limit Hook’s cut of the royalties was “clandestine, premeditated, and deliberate,” while the lawyer for the rest of New Order suggested that Hook either simply wanted to stick it to the other members or that he was angling to “re-join the band” (because that would be loads of fun for everyone involved). Hook’s lawyer also noted that this whole thing is like if “George Harrison and Ringo Starr had got together at George’s house one Friday night and acted together to divest Paul McCartney of his shareholding in the Beatles, and didn’t tell Yoko about it either.” After that airtight comparison, the judge sided with Hook and agreed to let the suit go to a full trial. The judge did suggest that the two parties should try and settle this out of court, though, most likely because then the world wouldn’t have to keep hearing about how much the members of New Order dislike each other.